Asus Zenfone Max ZC550KL has been launched early last year 2016. This phone packs some cool specifications and features. It's a 4G LTE phone, 5.5 inches screen size with Corning Gorilla Glass 4 protection. You can see more of Asus Zenfone Max ZC550KL specifications here. Asus Zenfone Max ZC550KL runs on Android 6.0 marshmallow, and as we all know that Android phones running on Marshmallow are very stubborn to root using an Android app called KingRoot or any other rooting App. I'm sure, that's why you are here, because you are finding it difficult to root the phone. This quick guide will teach you how you can root your Asus Zenfone Max ZC550KL running on Android 6.0 Marshmallow. Kindly follow me along as we do this. Note that I won't be held responsible for any damages that you may cause on your smartphone while following this tutorial. Make sure proper power backup of your PC. Avoid interruption while the process is going on. 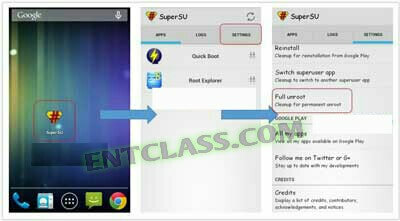 ==> Download and copy SuperSU Zip file in the phone SD card. ==> Then download and extract TWRP Recovery and Fast-boot tool and move TWRP Recovery (recovery.img) file in the Fast-boot tool folder. ==> Now press and hold shift key in the keyboard and right click in the extracted Fast boot tool folder and select “Open command window here”. After that, attach the Asus Zenfone Max ZC550KL to your PC with the help of USB cable and type "adb reboot bootloader" to boot your phone in the bootloader or fastboot mode. Meanwhile, if this CMD command is not working for you, then switch off your Asus Zenfone Max ZC550KL and press volume down and power button. You will get a vibration and your device will boot in recovery mode, then you select Reboot to Bootloader. NOTE: Now your Asus Zenfone Max ZC550KL in the bootloader or fastboot mode, So you type fastboot devices in the command window then press enter key. This command show connected device in the command window and you can see your Smartphone serial number. If command window is not showing your device serial number. Then install USB driver correctly or change your USB port of the PC. Once the Asus Zenfone Max ZC550KL is connected, type fastboot flash recovery recovery.img command in the command window and press enter key to flash TWRP recovery on Asus Zenfone Max ZC550KL. Now type fastboot boot recovery.img to boot in recovery mode. Then tap on install tab or button and select “SuperSU.zip” file from your save location on your phone SD card and install this file. To check if your phone is successfully rooted, install root checker app from google Playstore to verify it. Locate and open Su App from your app drawer and tap on Setting. Then scroll and find “Full Unroot” option and tap on it. that’s all. Your phone is no more rooted. How to root Asus Zenfone Max ZC550KL running on Android 6.0 Marshmallow. Easiest way to root Asus Zenfone Max ZC550KL running on Marshmallows. Root Asus Zenfone Max ZC550KL without PC. KASHI PLEASE HOW TO ROOT MY TECNO W4? Good information about Android 6.0 rooting, thanks for the post.